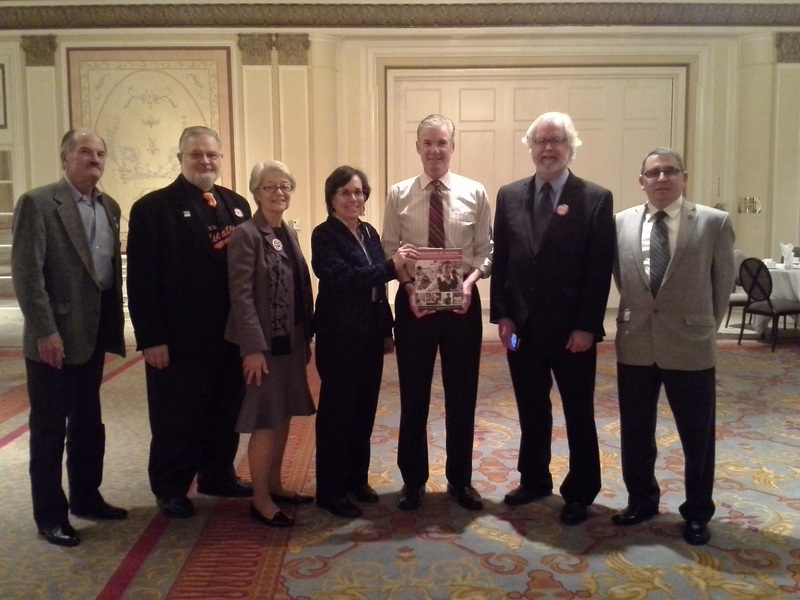 Tom Torlakson, California Superintendent of Schools, stopped by San Francisco last week to have breakfast with Labor Council leaders. Tom was our endorsed candidate in 2010 during our electoral sweep of constitutional officers and is one of our most popular. His stance on education and his support for teachers is exemplary. He is one of the best voices nationally to expose the neoliberal lies of the Arne Duncan’s and Michelle Reis’s of the country who flaunt vouchers, charter schools, and bureaucratic test scores as solutions to the economic realities that have threatened the vitality of a once vibrant and funded public school system in California, a system that has been abandoned by corporate interests who want to privatize everything without input from the skilled workers who actually do the work. Tom talked about a new program and study just published called “Greatness By Design” which lays out, among other things, a real resource guide to mentoring teachers as they experience increased class sizes and changing technology amidst the unacceptable pressures of diminishing budgets. Thanks for stopping by Tom Torlakson. It was great to see you. Wish we could’ve rousted a few more folks out for breakfast but the Giants were playing in the World Series, there was a Presidential debate, Monday night football, and, by the way, it is campaign season…. Yes on 30, Yes on A, and No on 32! This entry was posted on Monday, October 29th, 2012 at 6:49 pm	and is filed under Blog. You can follow any responses to this entry through the RSS 2.0 feed. Both comments and pings are currently closed.